These four titles form a mini series entitled 'Romans', and tell stories of what it was like for a family of Romans to live in Britain. Although the stories themselves are fictional, they give interesting and therefore easily remembered details of what the Ancient Romans did in their everyday lives. The texts are easy to read, and the humour of the illustrations lends well to the stories. 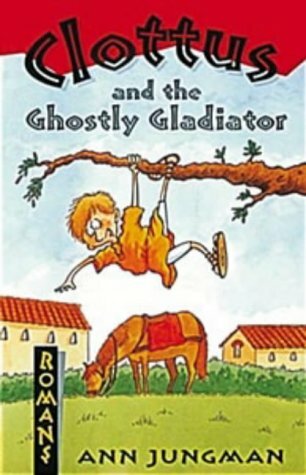 In Clottus and the Ghostly Gladiator, we discover how slaves worked for the Romans, and also a gladiator match. 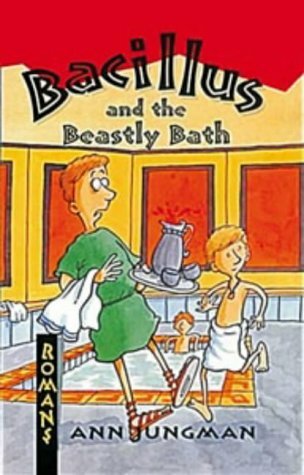 Bacillus and the Beastly Bath explains to us what it was like to go to the Baths with all the accompanying rituals. 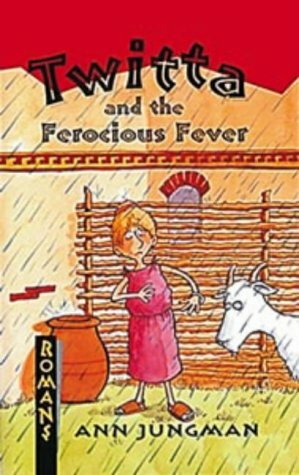 In Twitta and the Ferocious Fever, Twitta goes shopping with Perpendicula in the market, but catches cold afterwards - how will she be cured of the fever that she catches? 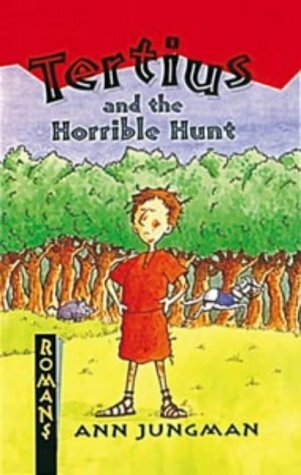 Tertius and the Horrible Hunt tells us how Romans had their houses decorated, and what they did to entertain their guests both young and old. The humour with which Jungman accompanies much of her storytelling is cettainly present in this series, and will mean that children should enjoy reading or listening to the books. An added bonus is that each story features the children displaying such qualities as loyalty, mercy and consideration as part of their everyday lives and behaviour - in addition, of course, to the pranks and misbehaviour that are natural to children anywhere. The size of the books is also just right for children.